di Bocconi Students Investment Club 6 Dicembre 2016 8 min. Over the past years, the technology industry experienced an overwhelming volume of M&A activity. The following article aims at outlining the motivations behind this phenomenon and at identifying numerous disrupting factors. Microsoft’s acquisition of the professional social network LinkedIn, as well as Snapchat’s rebranding strategy and potential IPO in 2017 will serve as examples for latest activities in this highly dynamic sector. Continued economic and consumer confidence triggered a record-breaking 981 technology deals in the first quarter of 2016, with a cumulative value of $77.1bn. Technology companies use M&A as an imperative strategy to improve operational efficiency and profitability, by acquiring new expertise and innovation. Additionally, cheap debt financing allows for corporate expansion with limited risk. The concept of globalization likewise facilitates M&A activity, as the exchange of information and transfer of capital are nowadays faster than ever before. We summarize in what follows various disrupting “trends”, or factors, which we believe will have significant impact in shaping the near future of tech M&A activity. Leading handset manufacturers and OS vendors are releasing digital currency services such as Google Wallet and Samsung Pay, to offer mobile payment to a wider spectrum of customers. Samsung processed an overall $30 million transactions within the first month of the release. Amazon, eBay, and other innovative newcomers are also revolutionizing the process of online exchanges, by connecting creators and consumers through user-friendly and reliable networks. Moreover, we see improvements in positioning intelligence and Artificial Intelligence (AI) tools as likely to represent key drivers of further acquisitions in the tech industry. In fact, by increasing levels of precision and awareness, location and proximity technology will soon give rise to an era of intelligent drones, self-driving cars and personal trackers. Finally, sports and gaming has reached a critical point of cultural importance and offers incredible growth opportunities. Microsoft’s $2.5bn acquisition of Mojang underlines the significance of virtual entertainment in the modern society. Leveraging on new and more powerful hardware, connected healthcare is on track to improve self-care and remote diagnosis. Harnessing medical information from mobile applications and wearable technology allows for the extraction of actionable intelligence, representing a key driver for connecting the entire healthcare ecosystem. For example, IBM’s technology platform “Watson” establishes a new partnership between humanity and technology, by processing and revealing insights from unstructured data. We foresee this as being one of the major growth areas within the tech landscape in the coming years, driven by the need to eliminate healthcare inefficiencies and to encourage patient-centric healthcare provision. Nevertheless, one must take account of the fact that these technologies generate new vulnerabilities and thus require comprehensive security analytics, rapid detection and in-process threat response. High profile hacks of major organizations, such as Target and JP Morgan Chase, demonstrate the magnitude of this issue. Lancope (now part of Cisco) and Caspida (now acquired by Splunk) aim to address these topics, by specializing in the monitoring of suspicious traffic patterns and protection of sensitive information. Furthermore, the internetworking of smart devices, known as Internet of Things, will definitely open a new front in this cybersecurity fight. On June 13, 2016, Microsoft announced it would acquire LinkedIn for a total cash consideration of $26.2bn, $196 per LinkedIn’s share. The purchase price represented a 50% premium on LinkedIn’s closing price on the day prior to the announcement, which led several analysts and investors to consider the transaction overpriced. On a fundamentals basis, the purchase price is in line with similar deals: Microsoft indeed paid 8.2x LinkedIn’s LTM Sales, which appears to be coherent with past transactions. 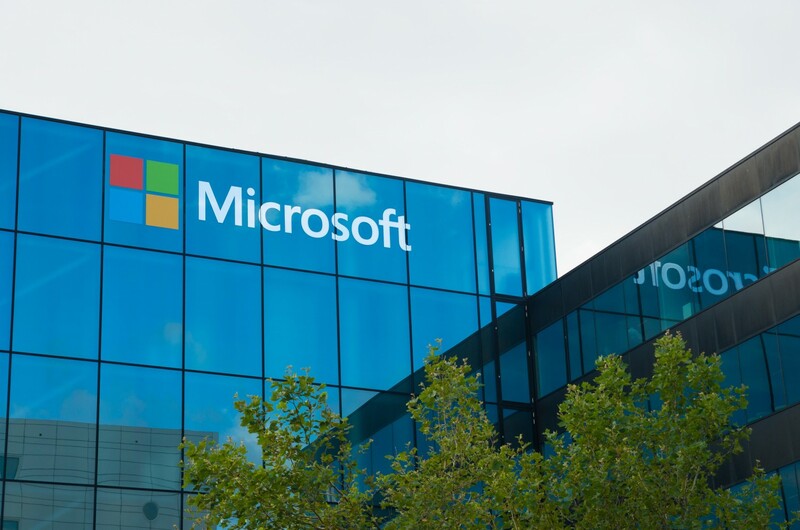 The rationale behind this acquisition must be traced back to the primary importance that Microsoft attaches to its cloud services, defined as the “World’s Leading Professional Cloud”. In fact, the synergy that the tech behemoth considers as crucial in this transaction is the complete integration of LinkedIn’s professional network into Microsoft’s professional cloud. This would lead for instance to an improvement in Cortana, the company’s digital assistant, and it would also bring a positive shock to revenues coming from advertisement, thanks to a “Social Selling” strategy.